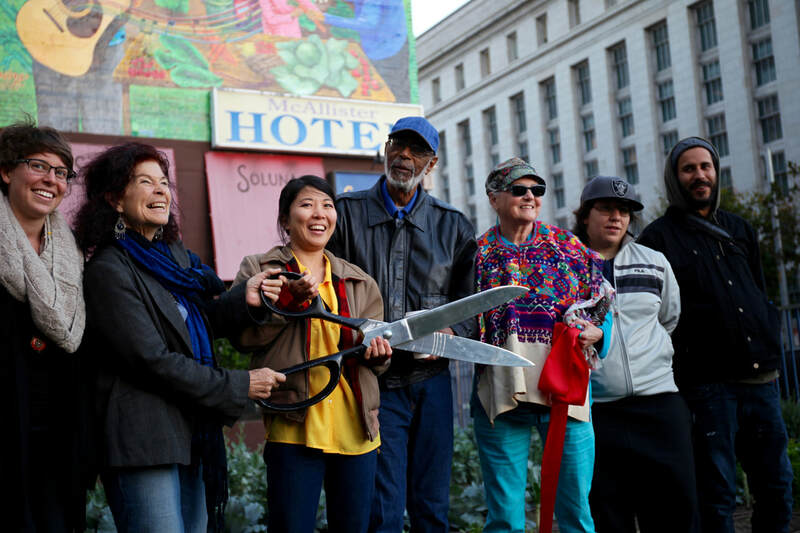 Cutting the ribbon: Kristie Nicole, Kasey Asberry, Yuka Ezoe, Ira Watkins, Susan Cervantes, Julieta Flores, Max Marttila. 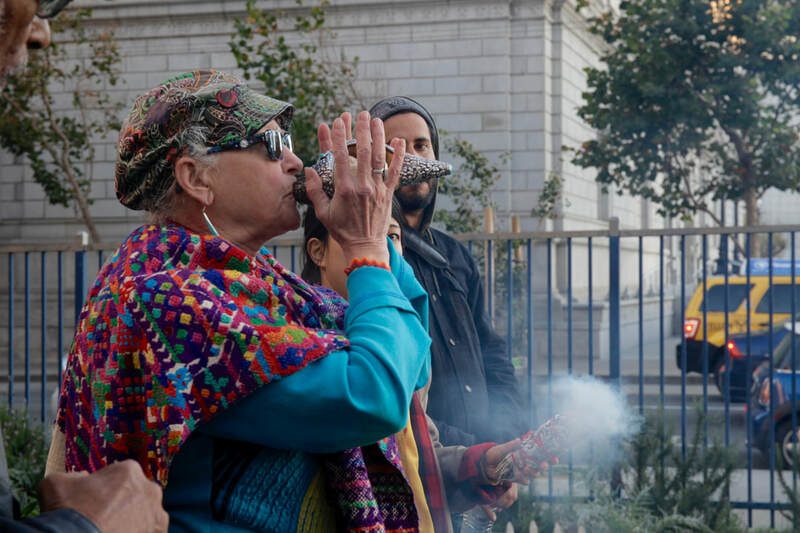 November 16, 2016 — Every other Wednesday is harvest day in the Tenderloin People’s Garden, a patch of green in downtown SF's Tenderloin district. 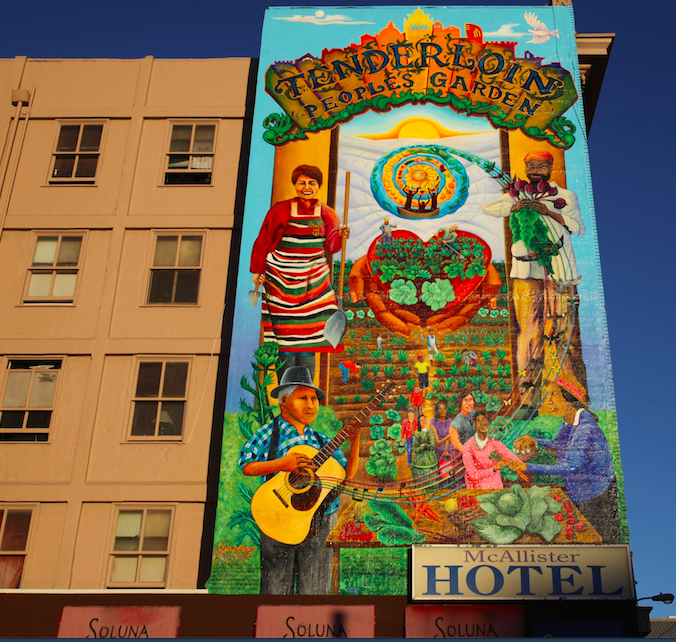 But on November 16, the garden bloomed with a different type of offering: the dedication of the new “Growing Together” mural.